Celebrate Sno-Bama week, cheap midweek tickets in Utah, and buy a season pass for the second half of the season. Skip the crowds and ride these 11 resorts for an excellent price. Lots of deals this week for dressing up like a woman, getting some appreciation, and owning some children! 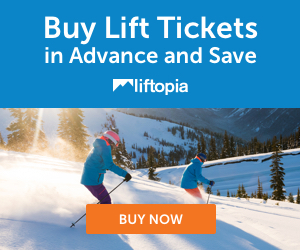 Ski FREE at Schweitzer, Superbowl savings in New England, become a local at Wolf Creek, and how getting married can get you a free ticket.